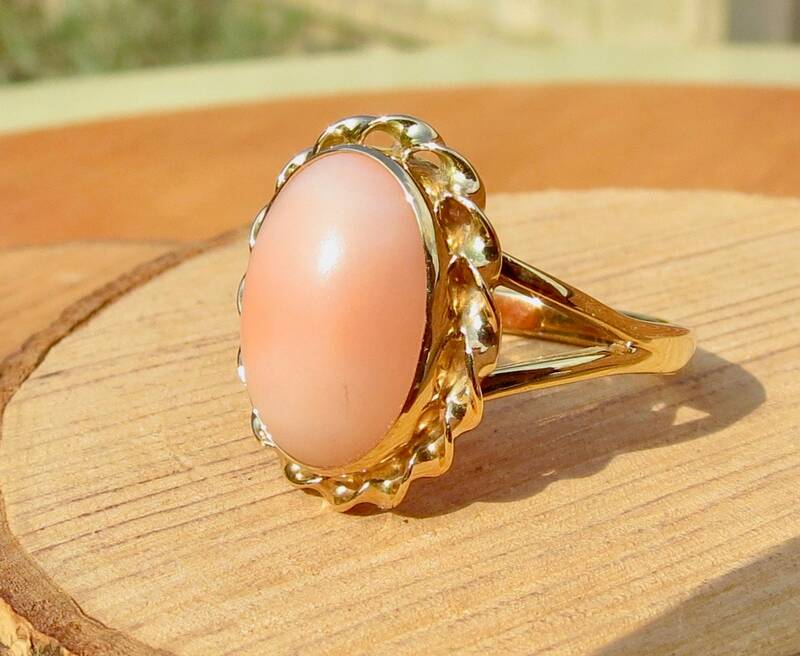 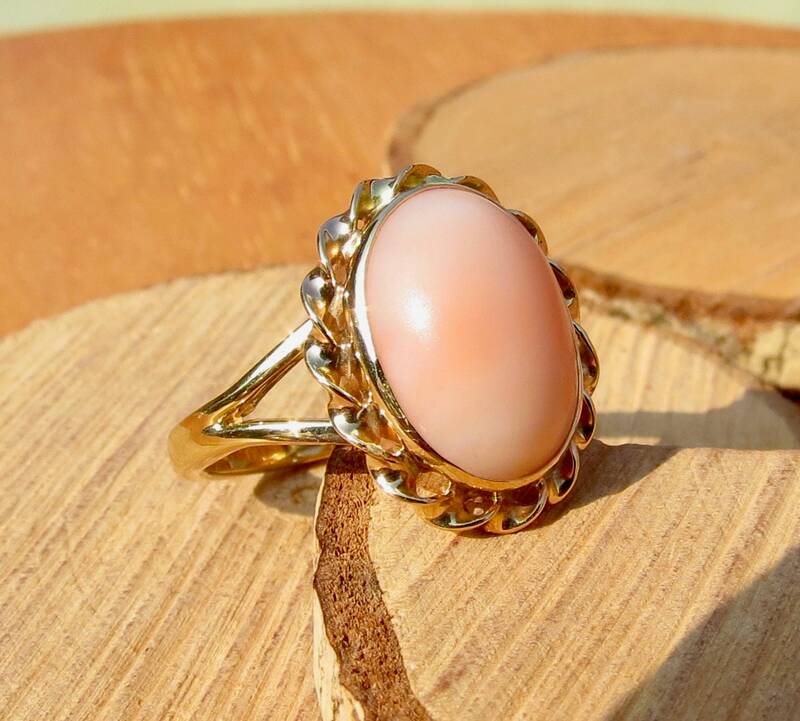 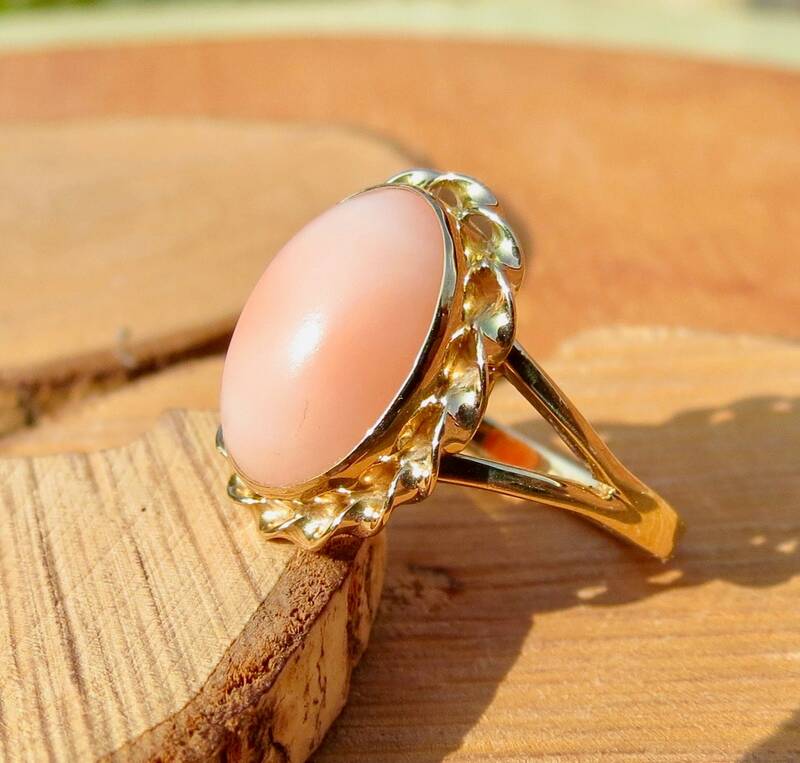 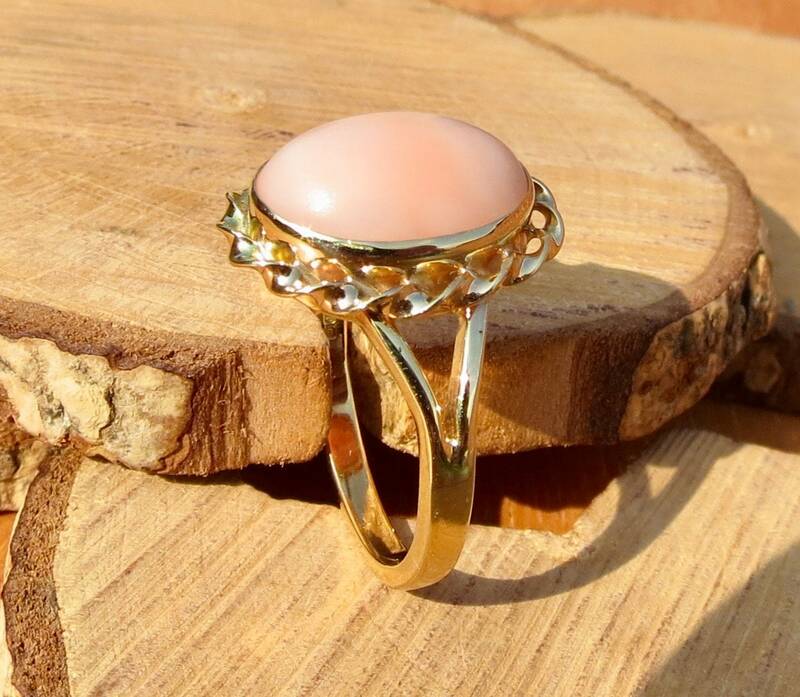 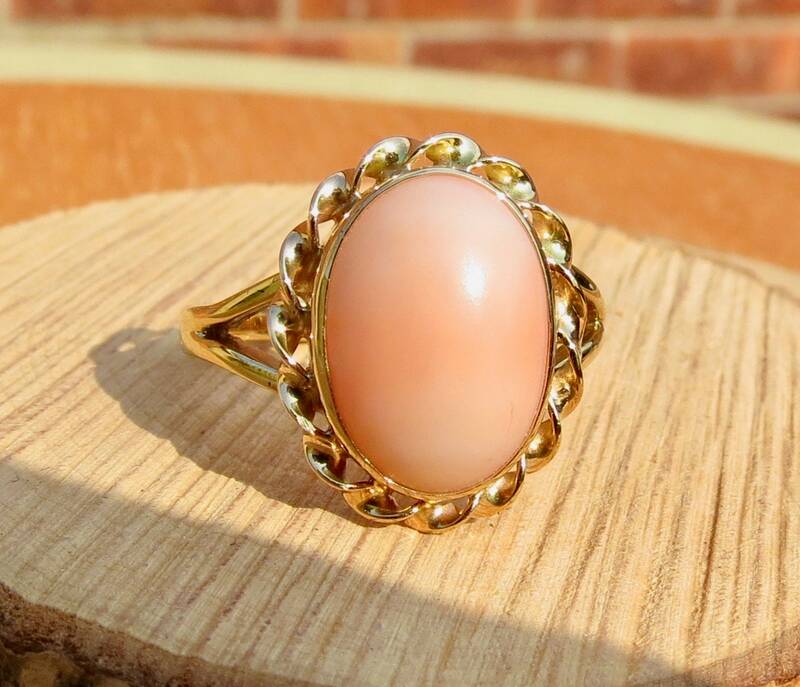 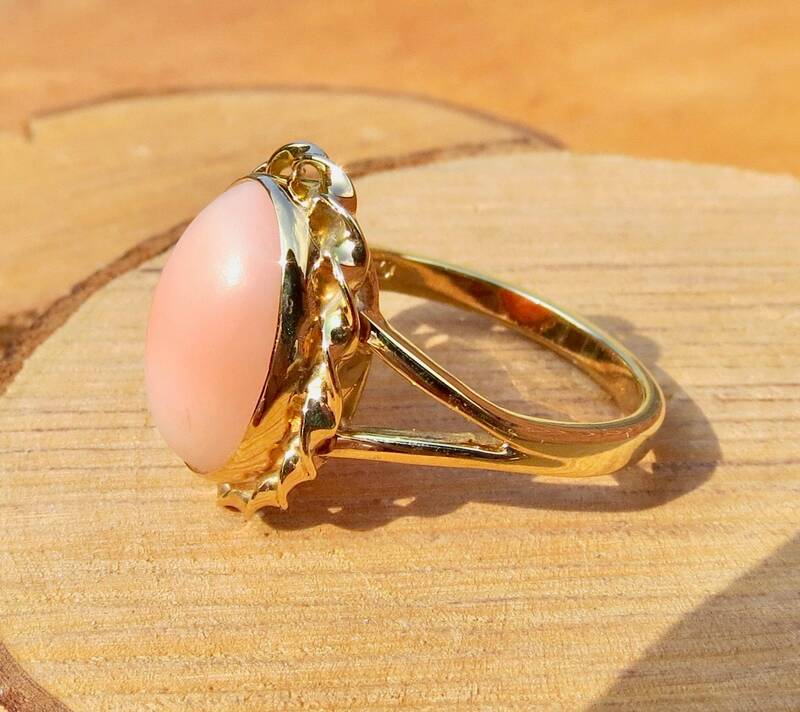 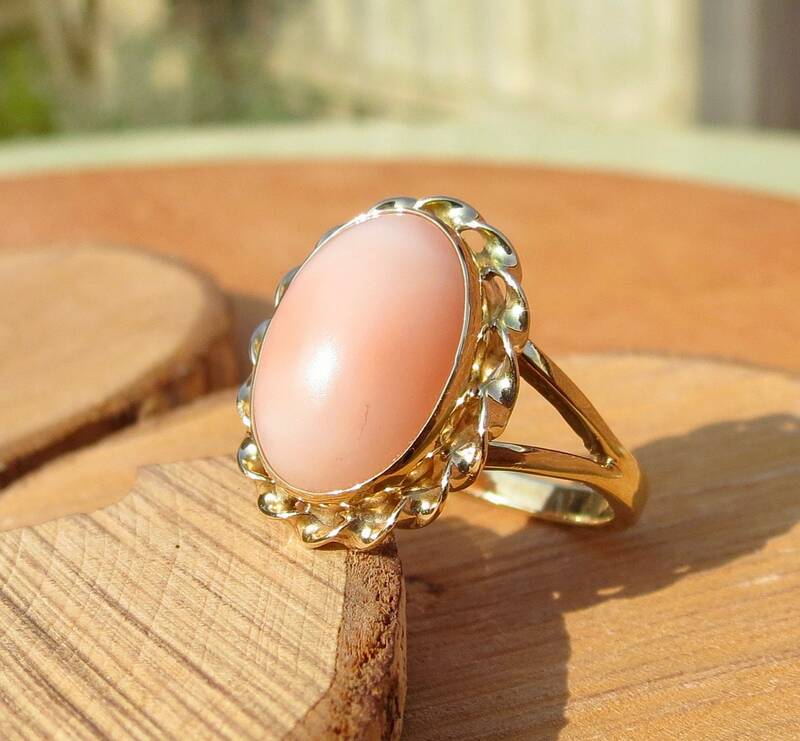 This good sized vintage 9k yellow gold ring has a big oval coral cabochon rub-over set with a loop rope surround. 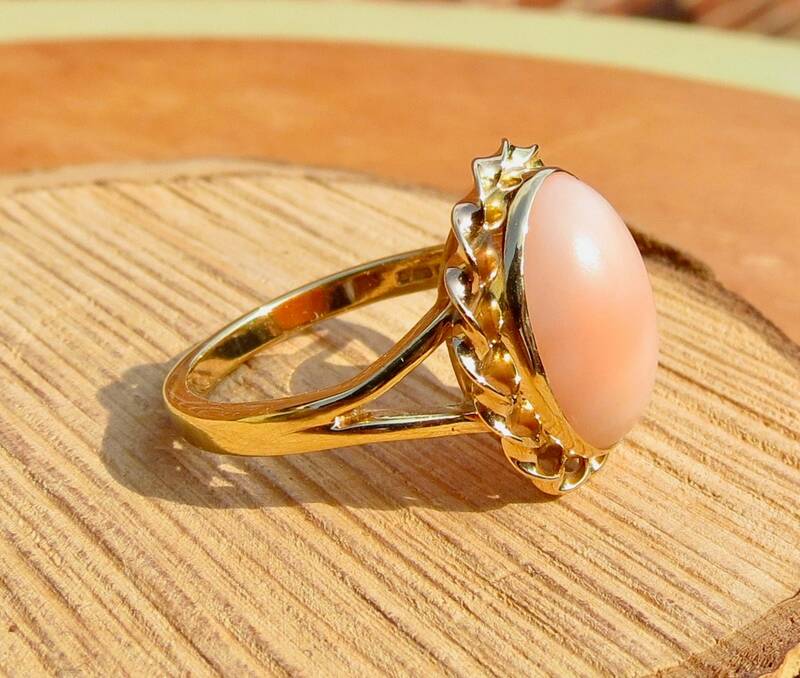 Split shoulders lead to a plain shank . 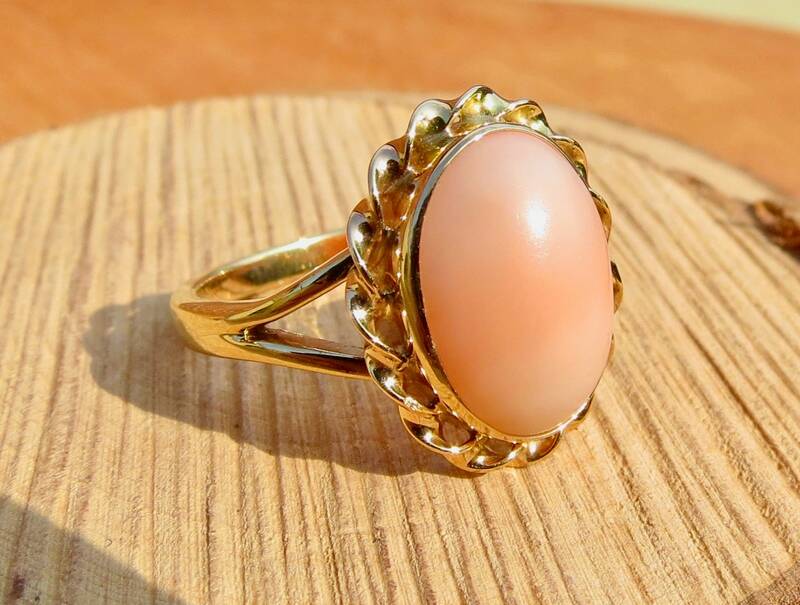 The coral is in good condition, a very soft orangey peachy pink colour.